This series of fur Sewing Machine is suitable for large and medium enterprises, small factories and individual producers, such as fur factory, leather goods factory, shoes factory, hat factory, toy factory, etc. It specializes in various thick thin furs, such as mink fur, fox fur, yellow weasel fur, rabbit fur, dog fu, bar fur, etc. The machine adopts box-type frame, needle take-up, loop staff, teeth feeding mechanism as well as automatic-lubricating device. 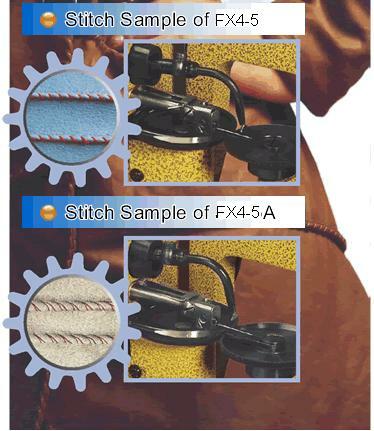 it is really a high speed and high efficient fur sewing machine.FX4-5A is also suitable for sewing gloves. Looking for ideal Fur Sewing Machine Manufacturer & supplier ? We have a wide selection at great prices to help you get creative. All the Leather Sewing Machine are quality guaranteed. We are China Origin Factory of Upper Drawing Sewing Machine. If you have any question, please feel free to contact us.